Sold by osg and Fulfilled by Amazon. Gift-wrap available. Comment: Still in readable condition. Cover shows signs of use. May contain underling highlighting, or writing from previous owner. Sold by osg and ships from Amazon Fulfillment. 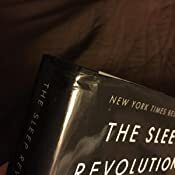 Start reading The Sleep Revolution on your Kindle in under a minute. It's like someone Googled everything the Internet had to say about sleep and pasted it into a book with minimal editing. There is no filtering in a sense of the quality of studies and science that are referred to in the book. A lot of the author's claimed problems with our modern daily lives that prevent us from sleeping will probably just make you end up more paranoid about losing sleep and as a result have a harder time sleeping. I recommend instead - say goodnight to insomnia by gregg jacobs. An author experienced in the subject and providing higher quality content in less words. Helped change my sleeping habits significantly. 1.0 out of 5 starsBoring and Repetitive. Snore. How do I tell you that our society is sleep deprived...let me count the ways. This book was a huge disappointment. I had to skim quickly through the first 198 pages to find the only point I picked up in the book. Use scents, like lavender or orange, on your bedclothes. 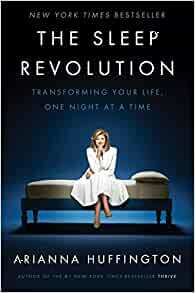 Eighteen months ago I visited a Marriott and there was an information card on the bedside table, "Arianna Huffington's 8 tips for a better sleep." I got more from that ( and did not see this in the book) than her book. I am going to list so you can save your money. 1. Set a cool room temperature. 3. No caffeine after 2 p.m.
4. Pajamas, nightdresses and even special t-shirts send a sleep-friendly message to your body. If you wear it to the gym, don't wear it to bed. 5 Do some light stretching, deep breathing, yoga or meditation to help your body and your mind transition to sleep. 6. 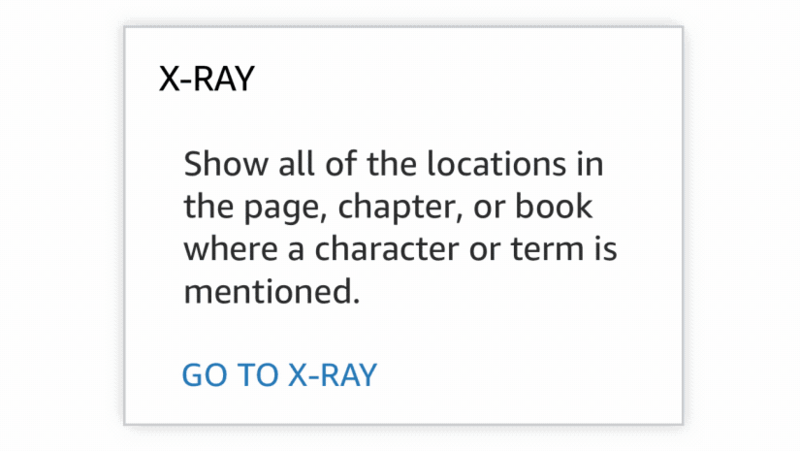 When reading a book, make it a physical book or an e-reader that does not emit blue light. 7. Ease yourself into sleep mode by drinking some caffeine-free tea. 8. Before you turn off the lights, write a list of what you are grateful for. These have worked for me. And her book put me to sleep too. 5.0 out of 5 starsSleep now or die: this book showed me how I was unsleeping my way to death. Unlike many reviewers, I do not struggle to get to sleep. But I don't like to go to bed. I'm a night owl and tend to stay up until my eyes shut out of desperation. Then I sleep very well. Before you posit that I sleep well because I only sleep when exhausted....no. I sleep well even when I go to bed at a decent hour, but that happens about twice a year, and then usually by accident. So. 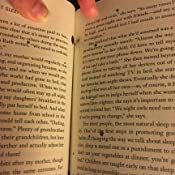 Why would I read Arianna's book? Well, basically, because I had a suspicion that there was something in here that would address my strange relationship to sleep. And what did I find? I've been UNSLEEPING myself to death for over half my life. Well, that certainly got my attention. And now I get more sleep...I actively drag my unwilling self off to bed MUCH earlier than I have for the last several decades of my life. And yes, it makes a huge difference. I'm still a night owl, and ideally, I get my 9 hours by sleeping in (at least according to my early-bird family members), but this book has (excuse the pun) woken me up as to the devastating long-term damage that can happen through consistent lack of sleep. And it was even more horrifying to me since I don't fit the pattern of the usual causes of sleep-loss: I don't have a smart phone, am not checking the computer late at night, do not suffer from insomnia or other cannot-fall-asleep situations, and yet, here I was getting far too little sleep. There were some chapters less - ahem - riveting than others...the ones on our culture of over-work/too much device interaction are relevant for a lot of people, just not for me. The chapters on how the brain uses sleep to chemically function, repair itself and regenerate were my favourites (and the most acutely uncomfortable for me to read, based on my situation). 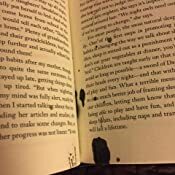 I never thought this book would tell me how to get to sleep - and it's NOT a HOW-TO SELF-HELP book - but this read certainly got my attention and got me to drag my head to the pillow! Sleep now or die. I thought it would've been more practical than theoritcal. If you're conducting a research on sleep, this is a great source of sources, since Arianna really went in depth in investigations around the world and proves her point that sleep is important....over....and over....and over again. Honestly, I would've read a wikipedia article for it....thought it would be more practical with far more tips, strategies and techniques, and though you can get those from the book, it's not stated properly.....oh well! one more to the bookshelf. I thought it was actually a lot of fluff. A lot about the history and story of sleep which I didn't find interesting at all. The amount of information about how to sleep better was very thin. I can't recommend this book. There are a lot of better, more informative books out there. Sorry Arianna.